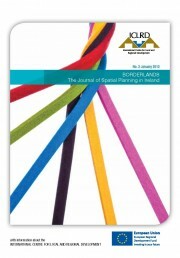 This article, published in BORDERLANDS – The Journal of Spatial Planning in Ireland No. 2 January 2012, summarises research undertaken by the authors to develop a prototype comparative cross‐border deprivation measure using census data available from the respective censuses of Ireland and Northern Ireland. This new All‐Island Deprivation Index, when fully tested, will allow policy makers, practitioners and academics to better understand the spatial distribution of deprivation from a comparative perspective and provide information for cross‐border communities.